The ever-changing lineup of Liars is now pared down to one Angus Andrew, the founder and only constant member. The equally inconsistent sound of the band takes another turn, this time incorporating more electronic, beat-driven production. Still, Liars sound like Liars, and the group’s characteristic darkness comes through in full, but this time there’s less of an impact. This leads to a more boring, haphazard album. The main issue is in the writing. Each track relies on one often slow, looped beat, cut up by a small bridge. Angus finds the least engaging riffs for this formula, never fast or heavy enough to be danceable, but never slow or strange enough to be hypnotic. Even tracks that start off promising (“Staring at Zero” has one of the best bass lines, and the first half of “Face to Face With My Face” is stark and haunting) turn monotonous. It’s the over-reliance on formula that makes these tracks dry, and there’s one particular trick that Angus seems to love: the sudden instrumental break that leads back into an explosive chorus. He uses this device on nearly every track, sometimes multiple times within one composition. The effect wears thin quickly, and by the third time Angus pulls this card during “No Tree No Branch,” it sounds more lazy than it does driven by vibrant energy. The worst thing on TFCF is Angus’s vocals. They’re sloppy, gruff and high in the mix. When there is a memorable melody (which isn’t always), Angus sings it endlessly, causing the thrill to wear off as he drones on. The multi-tracked passages fade over each other, and instead of having a pleasant psychedelic effect, they sound clunky and over-edited. 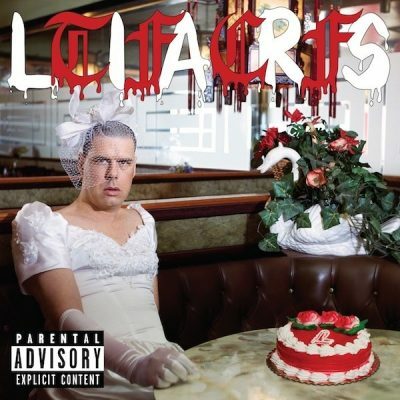 This lack of melody and traditional harmony is crucial to Liars’ music, but it serves a different purpose here. The unstable harmonies of past albums served to create walls of nihilistic dissonance that never went to or came from anywhere. Rather, they sat firmly rooted in the bleak present. On TFCF, these chords simply create lifeless tracks. The first two cuts (“The Grand Delusional” and “Cliché Suite”) show this best, as they flit between unemotional chords that, held under a Western classical microscope, would be technically impressive, but here they feel awkward and forced. The one exception is “No Help Pamphlet.” The key to this ballad, outside of containing one of the only emotional vocal performances on TFCF, is the rhythm. The track is in 11/8, but different instruments play in different subdivisions, giving the track an odd and hard-to-follow pattern. But the difference between this composition and every other experiment on TFCF is that here, Angus sounds like he’s in control of his music. Instead of meandering along an idea and letting it die out without ever coming to life, here he employs a purposeful disorientation that acts as the rocky ground for his confused, terrified persona to sing over.